In our labs, we’re uncovering the science behind best practices in organic agriculture. Our research lab has three separate sections: a processing lab, a general lab, and a sterile lab. Our researchers collect soil, plant matter, grain, and produce samples in the field. Those samples are then brought to the lab to be sorted, separated, weighed, and ground before they are analyzed for carbon and nitrogen content, elemental and nutrient makeup, and microbial biomass, which is a measure of the amount of living material in the soil. 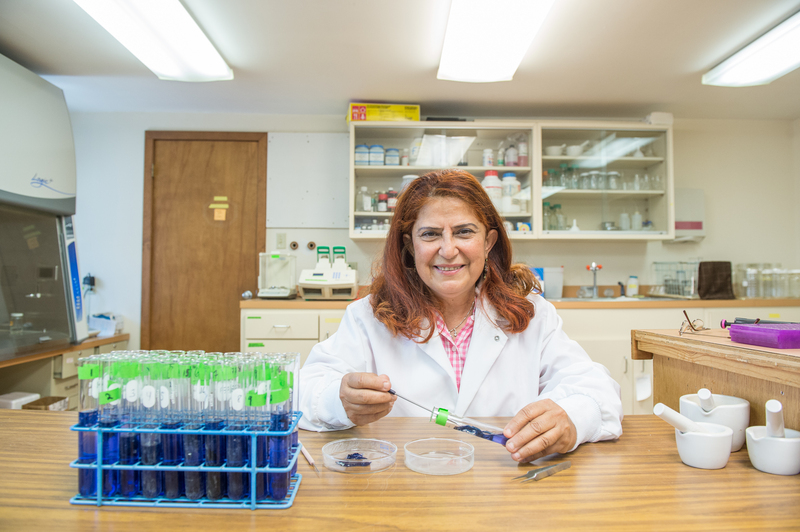 Researchers use equipment including a freeze-drier, autoclave (pressure chamber), centrifuge, Laminar flow hood (an advanced air filtration system), incubator, and microscopes to conduct studies on soil health and pest and disease management.